Product Design For Start-ups – Award winning by design. Product Design & Development » Product Design For Start-ups – Award winning by design. We’re really chuffed for our client SimpAlarm with a focus on Assisted Living Technology, having just won The Discovering Start-Ups competition . We work hard to maximize the design opportunity for our clients, big and small. Over the past decade Flynn Product Design has had the pleasure to work with both global brands as well as start up business, however we would be the first to admit there is a certain reward when recognizing the impact of design thinking can have on Entrepreneurial ventures / Start Ups. It is a genuine pleasure to offer our support to start up business, in taking the seed of their idea and working in a consulting capacity with our clients to help them realise the true commercial potential of their idea. Naturally when we see that fledgling business go on to gain critical acclaim, peer recognition and awards we like to get the word out. Watch this space for updates on the progress of this interesting technology start-up based here in Bristol. The competition which is is run by Cambridge Wireless and Silicon South West – two of the UK’s leading technology industry networks – along with the support of London’s Tech City. 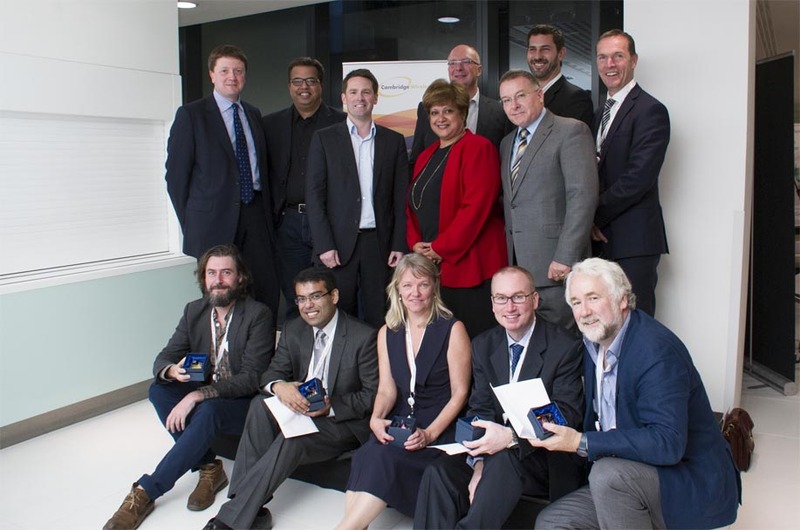 Now in its fourth year, the competition is sponsored by Qualcomm Ventures, as well as Google, Rohde & Schwarz, SETsquared, Microlease/Agilent Technologies and Taylor Wessing, who hosted the pitch event at its London headquarters.